Presura NºXXIII – English Special. Presura (ISSN 2444-3859) is a magazine and website of social and cultural criticism of videogames with an open, free and collaborative spirit. Presura tries to work on the axis where research and divulgation are united. It works through contributions of original texts. Each month we publish a different number related to a theme (eg, Ethnicity and Videogames, Final Fantasy, Politics and Videogames, Music and Videogames, Black Isle, Art and Videogames, etc.). Also, we publish an article each day in our web. The web is also free, open and colaborative. Everyone can write in Presura´s web, the only requisit is to look the norms of writting and shiping of the articles and, also, take a look to the others articles in the web to know how we understanding the videogames and the culture surronding it. Each theme is announced in time for whoever is interested could write comfortably. You can see the calendar of publications in the own web. If any of the topics interest you enough to write, the first step is to take a look at our style recommendations, the second to contact us through the editor’s address and director (correodealbertovenegas@gmail.com / redaccion@presura.es) and the third one, before writing, is to take another look at our writing and shipping rules. Daniel Muriel: Tracing the social. Lessons from Firewatch and Everybody´s Gone to Rapture. Federico Peñate Domínguez. Steel-clad conquistadores on horseback: a case study of selective authenticity and the Spanish Empire in computer games. Konstantinos Dimopoulos. A beginner´s guide to crafting video game cities. 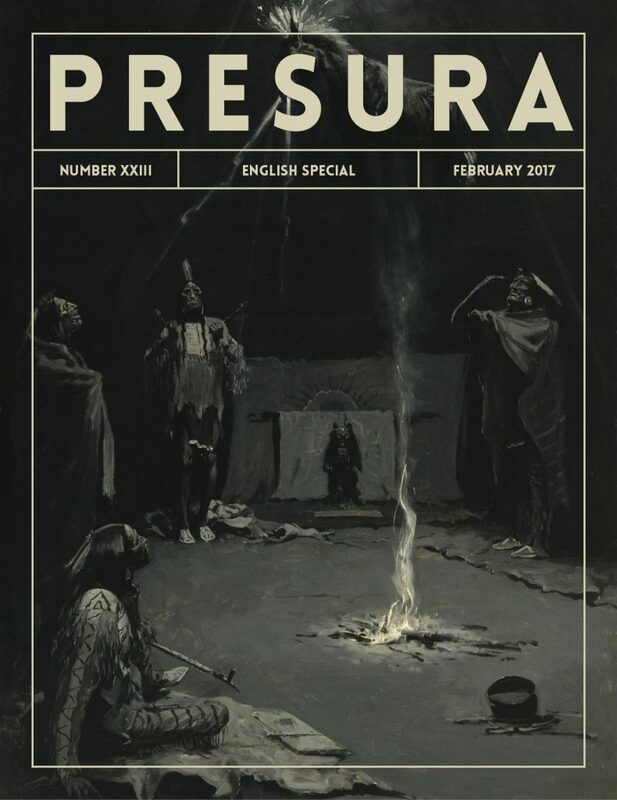 Cover of the 23 number of Presura.